This exquisite four-bedroom detached home has a grand, double-height hallway, leading to an open-plan kitchen and dining room, with a separate utility and WC. There’s also a generous living room spanning the full length of the house, which opens out onto the back garden. 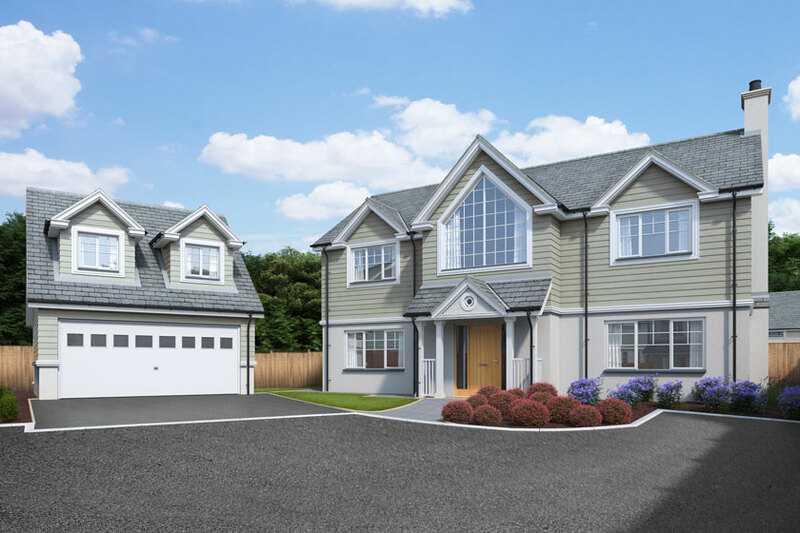 The first floor features a master bedroom with large en-suite, three further bedrooms and a family bathroom. In addition, there is also a large detached double garage, with a self-contained studio above. 4.4m x 3.2m | 14' 5” x 10' 4"
5.6m x 6.2m | 18' 5" x 20' 6"
1.8m x 1.3m | 6' 1" x 4' 4"
1.1m x 1.9m | 3' 8" x 6' 3"
3.3m x 3.4m | 10' 10” x 11' 4"
4.4m x 2.7m | 14' 5" x 8' 10"
4m x 2.2m | 13' 1" x 7' 2"
2.5m x 2.3m | 8' 2" x 7' 6"